Time to flex your Pie muscle. 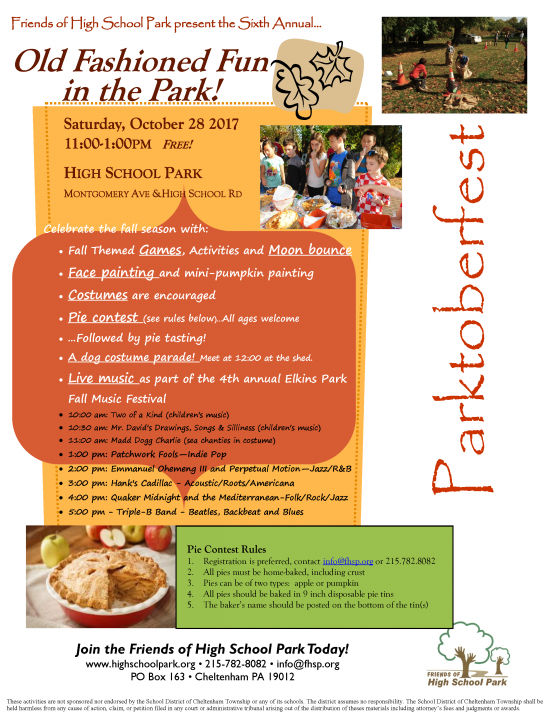 Come join our Parktoberfest celebration in the Park on Saturday (Oct 27th) and enter into our pie baking contest. See contest rules below. 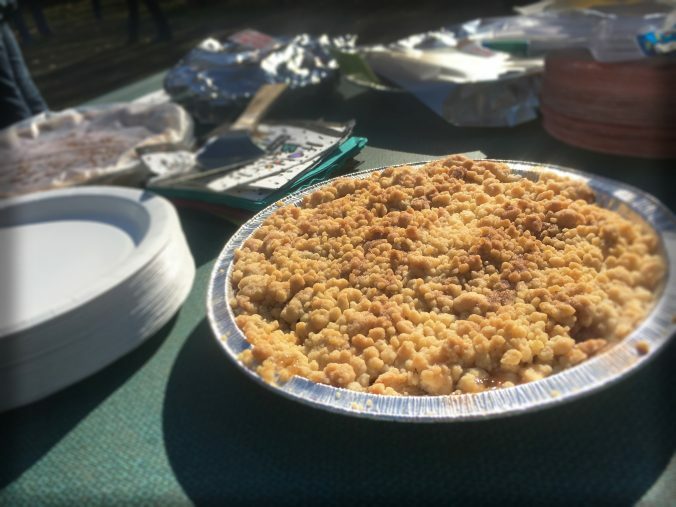 Bring the kids for activities and games, along with your homemade pie! This is part of our larger Parktoberfest event. Is it finally cool outside?! Has Summer finally ended? It’s that time of year again! That means it is also almost time for the next Parktoberfest in High School Park. Our event will take place on Saturday October 27th from 11 – 1PM. Come enjoy free treats and games. 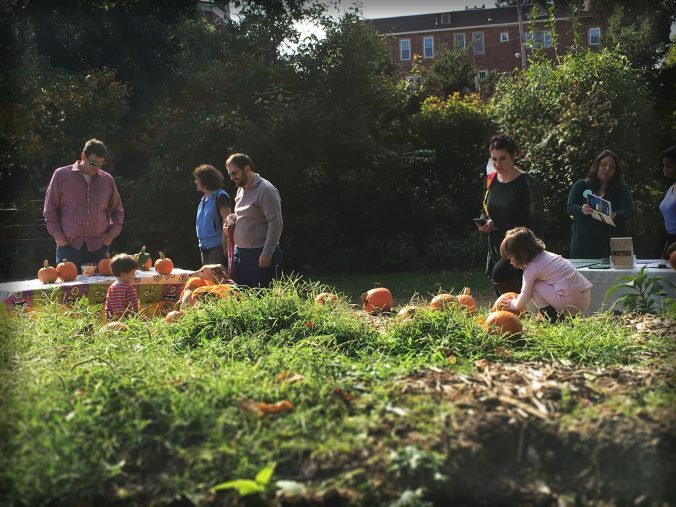 Bring a costume and stay around for the moon bounce*, and our annual pie baking contest followed by music in the park at 1 PM as part of the Elkins Park Fall Festival. This is a free event for the community. Children of all ages welcome. *Children in the moon bounce  must be supervised at all times. Parents/guardians assume all responsibility. Join us at the park on Oct. 28th and get ready for some fun. 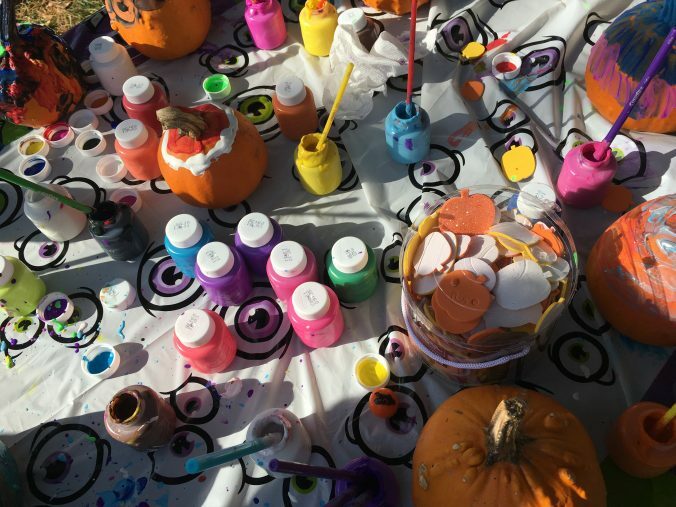 This is a FREE event that features games, prizes, face painting, a pie baking contest, and music supplied by the Elkins Park Music Festival. Bring the kids, bring the dog, bring a costume, and come have a good time!